Katherine Lane was well known for her animal and dog sculptures which were mainly of Whippets. 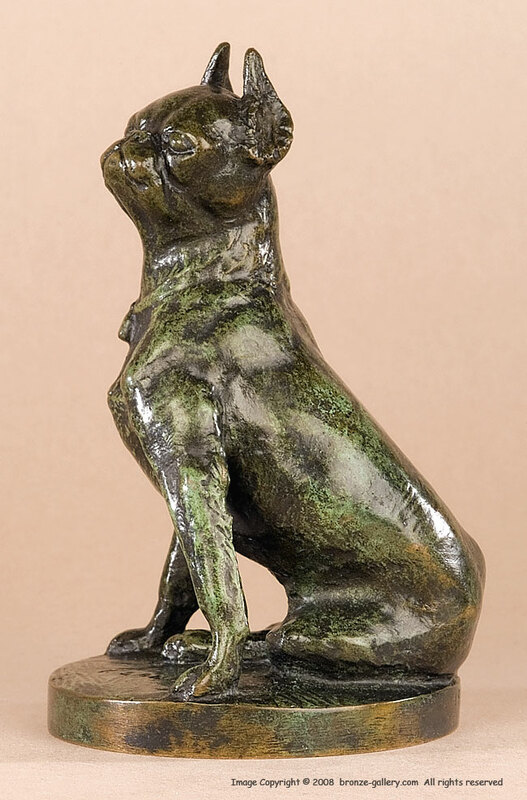 Early in her career, she also created this amusing small bronze of a seated Boston Terrier that was designed as a car mascot. Animal automobile mascots were very popular in the early days of the automobile and this one shows an amusing little dog sitting with head up alertly. The breed looks to be a Boston Terrier, but it might be a pug, or another type of bulldog. The bronze is signed and dated 1927, it has a rich green, brown, and black patina. This rare model was cast by the Roman Bronze Works NY foundry but this one is not marked. A fine small bronze by one of the finest of the American women sculptors. A small bronze of a Rabbit by Katherine Lane Weems recently sold for over $7100.00 USD in January 2011. Her work seldom comes on the market and brings a strong price. 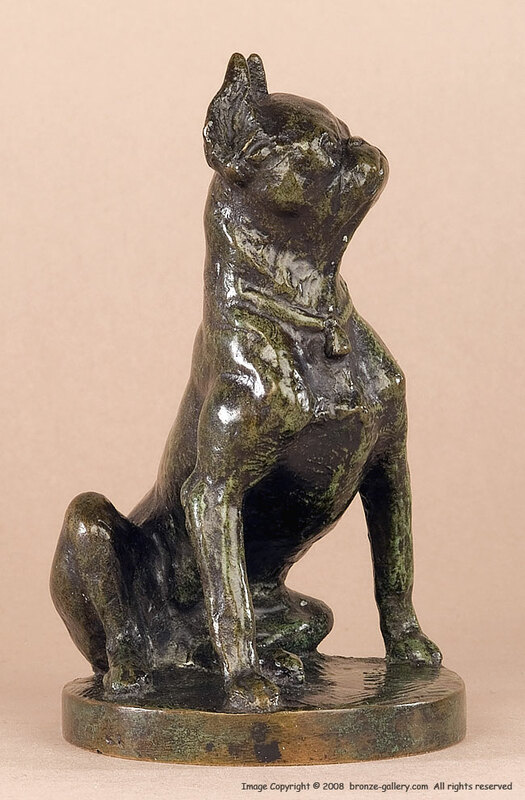 Our little dog is one of her earliest sculptures and it is very reasonably priced.